We were engaged by Castle Vale Tenants & Residents Alliance to develop the business case for community asset transfer of Castle Vale Library from local authority control - a first for Birmingham. 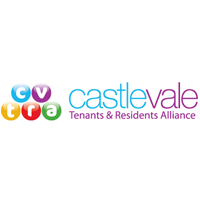 Castle Vale Tenants and Residents Alliance is a resident-led, not-for-profit organisation providing advice and support to around 30,000 residents each year in some of the most excluded communities in East Birmingham. “It’s no secret that library services everywhere are under pressure as local authorities try to make savings in the face of budget cuts across all services,” says Ray Goodwin, Chief Executive of Castle Vale TRA. “Birmingham is no exception and in early 2014 we could foresee the closure of our own Castle Vale Library at Spitfire House, where we are co-located. “It’s never been done before but there’s always a first” – this neatly captures how we, Birmingham City Council and other partners all felt on the matter. It was the start of an incredible campaign for which we gained widespread support and encouragement from residents, senior politicians, officers, local community groups and funders. Castle Vale TRA proceeded to successfully submit a grant application to the Social Investment Business and secured the funds needed to work up the business case for the asset transfer proposal. “DISE began by undertaking detailed stakeholder consultation to help us arrive at a shared vision for the library which involved facilitating workshops, analysing community and market research and using the findings to write the business and financial plan, working very closely with us every step of the way. “It was a highly collaborative process which gave us a business plan that passed in-depth scrutiny by Birmingham City Council. The good news came in September 2014, within just six months of the initial discussions to protect the service. The library will soon launch as Tyburn Community Library and Learning Centre and the first employee has already been recruited.